Most VC’s you talk to in Silicon Valley will say they like experienced management teams. 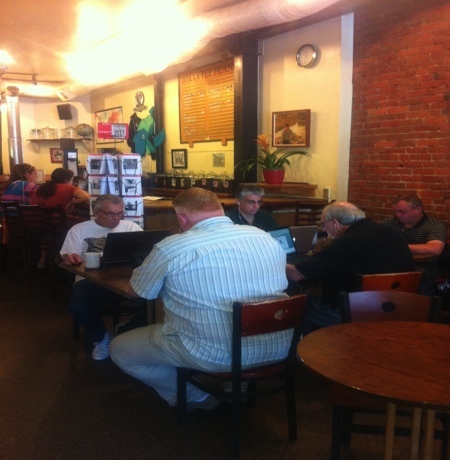 What was interesting last week when I dropped into a Los Gatos Coffee Shop was that the majority of keyboard tappers were over 50 years of age. As I waited for my coffee, I thought about the “Empty Nesters”, that term refers to the demographic whose kids have left home for College or University. It’s a marketing term bandied around in the 1980/90s to describe the baby boomers. Here in Silicon Valley, the modern day empty nesters are the entrepreneurs who invade the coffee shops hogging free WiFI and consuming content on those addictive iPads and Mac Computers. I wonder how long it will take to see a billion dollar start up come not from the college dorm but from the coffee shop old timers who are a little wiser yet just as tech savvy as the kids who don’t know life without 3 devices on their desk!